The Feast of Dame Mary d’Este Sturges – Zero Equals Two! 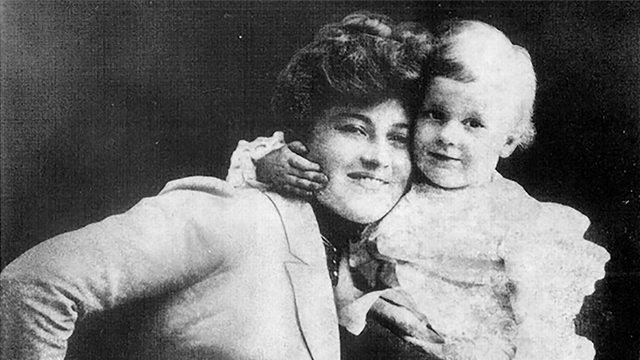 Today is the 88th anniversary of the death of Dame Mary d’Este Sturges, founder of Desti Beauty Products, BFF of dancer Isadora Duncan, the 2nd Scarlet Woman of Aleister Crowley, mother of American playwright Preston Sturges, and so much more. Born Mary Estelle Dempsey in Quebec, Montreal, Canada on October 10, 1871, she decided she was descended from Italian nobility on the grounds that Dempsey had to be a mispronunciation of the princely “d’Este.” Such pretensions weren’t uncommon in her era — consider our own prophet, Edward Alexander Crowley, who decided to be Aleister instead. Traveling around the world with Isadora Duncan’s dance company, Mary married four times and took numerous lovers. On her final automobile ride, Isadora Duncan wore a red batik scarf gifted to her by Sturges. One of Mary’s lovers was Aleister Crowley, with whom she collaborated on Magick. As Soror Virakam, the seer, Sturges saw an entity named Abuldiz who appeared as an old man with a long white beard, communicating that there was a book to be given to Fra. P. named Aba, and its number 4. Her work also appears in The Vision and the Voice. In April 1999 ev, OTO USA awarded Sturges the Order of the Eagle. In honor of Dame Mary d’Este Sturges, her colorful life, and her beloved Paris, here is a recipe for a treat that combines two of her favorite foods, croissants and chocolate. Roll out the dough on a floured surface until it’s 8×24 inches (20×61 cm). Flour the surface and roll out the dough into a long narrow strip, about 8×40 inches (20×101 cm).